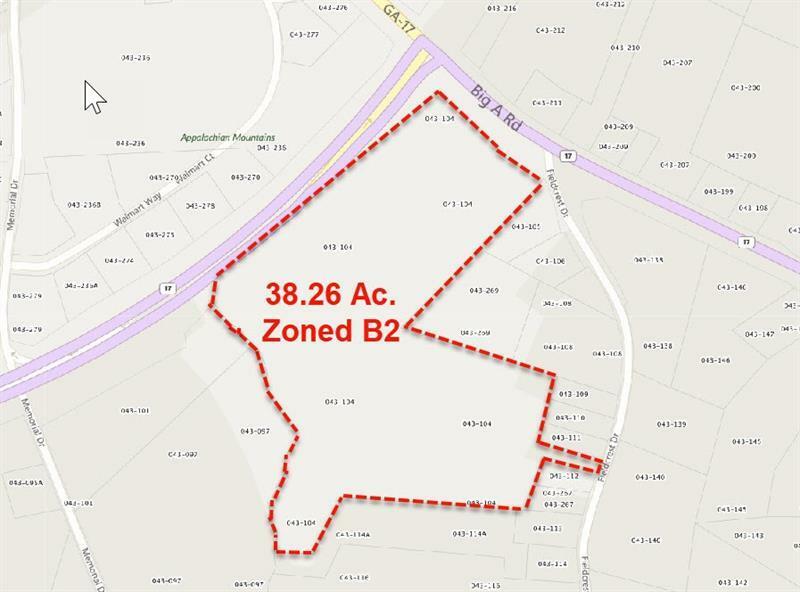 Development Site, corner property of 38.26 acres, zoned for commercial/retail development. Zoning also permits multi-family, with density of 20 units per acre. Other retailers in immediate area, include Wal-mart and Home Depot. Multiple frontages, with an additional 60'+ wide access point from Fieldcrest Road. A total of 1,794.78' of road frontage. GA Dot Stars Traffic Counts, 12,500 Vehicles/Day on GA Hwy. 17 and 5,480 Vehicles/Day on GA Hwy. 17 Bypass. 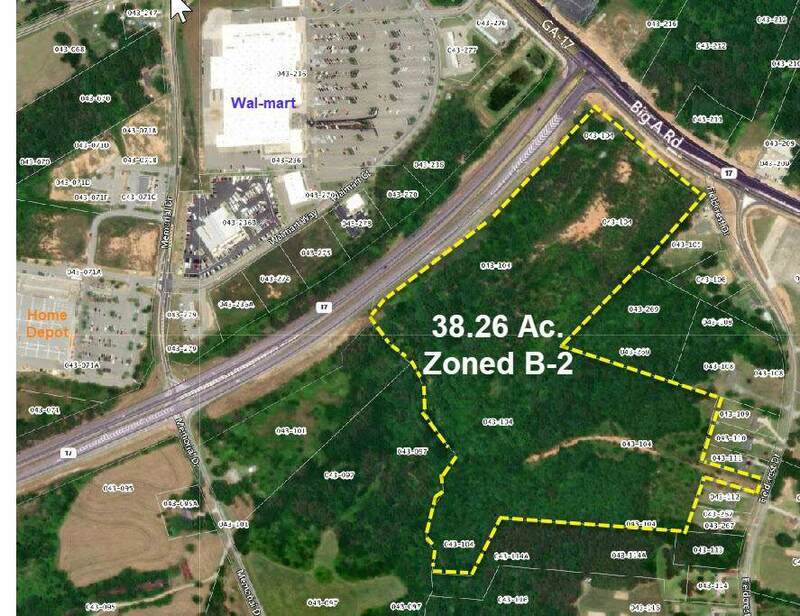 All utilities, but access to sewer could require a bore under GA Hwy. 17 Bypass.